James Bach defines exploratory testing as simultaneous learning, test design and test execution . Existing literature reflects that ET is widely used for testing complex systems as well and is perceived to be flexible in all types of test levels, activities and phases [7, 13]. In the context of quality, ET has amassed a good amount of evidence on overall defect detection effectiveness, cost effectiveness and high performance for detecting critical defects [1, 9, 10, 11, 13]. Session-based test management (SBTM) is an enhancement to ET. SBTM incorporates planning, structuring, guiding and tracking the test effort with good tool support when conducting ET . A test charter is a clear mission for the test session and a high level plan that determines what should be tested, how it should be tested and the associated limitations. A tester interacts with the product to accomplish a test mission or charter and further reports the results . The charter does not pre-specify the detailed test cases which are executed in each session. But, a total set of charters for an entire project generally include everything that is reasonably testable. The metrics gathered during the session are used to track down the testing process more closely and to make instant reports to management . Specific charters demand more effort in their design whilst providing better focus. A test session often begins with a charter which forms the first part of the scannable session sheet or the reviewable result. Normally, a test charter includes the mission statement and the areas to be tested in its design. Identify and categorize the influential factors that practitioners consider when designing test charters. Identify and categorize the possible elements of a test charter. The remainder of the paper is structured as follows: Sect. 2 presents the related work. Section 3 outlines the research method, followed by the results in Sect. 4. Finally, in Sect. 5, we present the conclusions of this study. Test charters, which are an SBTM element plays a major role in guiding inexperienced testers. The charter is a test plan which is usually generated from a test strategy. The charters include ideas that guide the testers as they test. These ideas are partially documented and are subject to change as the project evolves . SBTM echoes the actions of testers who are well experienced in testing and charters play a key role in guiding the inexperienced testers by providing them with details regarding the aspects and actions involved in the particular test session . The context of the test session plays a great role in determining the design of test plan or the charter . Key steps to achieve context awareness are, for example, understanding the project members and the way they are affected by the charter, and understanding work constraints and resources. When designing charters Bach  formulated specific goals, in particular finding significant tests quicker, improving quality, and increasing testing efficiency. The sources that inspire the design of test charters are manifold (cf. [4, 8, 12]), such as risks, product analysis, requirements, and questions raised by stakeholders. Mission statements, test priorities, risk areas, test logistics, and how to test are example elements of a test charter design identified from the literature review and their description [1, 4, 6]. Our study will further complement the contents of test charters as they are used in practice. Study Purpose and Research Questions: The goal of this study is to investigate the design of test charters and the factors influencing the design of these charters and their contents. RQ1: What are the factors influencing the design of test charters? The factors provide the contextual information that is important to consider when designing test charters, and complements the research on context aware testing . RQ2: What do practitioners include in their test charters? The checklist of contents supports practitioners to make informed decisions about which contents to include without overlooking relevant ones. Interviews: Interviews (three face-to-face and six through Skype) were conducted with a total of nine industry practitioners through convenience sampling combined with choosing experienced subjects who are visible in the communities discussing ET (see Table 1). Introduction to research and researcher: The researchers provide a brief introduction about themselves, followed by a brief description on the research objectives. Collection of general information: In this stage, the information related to the interviewee is collected. Collection of research related information: This is the last stage where the factors and contents of test charters have been elicited. Data analysis: All the interviews were recorded by consent of the interviewees and later transcribed manually. The qualitative data collected using literature review and interviews was later analyzed using thematic analysis . After thoroughly studying the coded data, similar codes have been grouped to converge their meaning to form a single definite code. Validity: The potential bias introduced by interviewing thought leaders and experienced people in the area who are favorable towards exploratory testing may bias the results, and hence may not be fully generalizable. Though, we have not put any value on the factors and contents elicited, and they may be utilized differently depending on context. That is, identifying the potential elements to include in test charters is the first step needed. To reduce the threat multiple interviews have been used. Using a systematic approach to data analysis (thematic analysis) also aids in reducing this threat. RQ1: What are the factors influencing the design of test charters? Based on interviews with test practitioners, 30 different factors have been identified (see Table 2). The table provides the name of the factors as well as a short description of what the factor means. Customer and requirements factors: These factors characterize the customer and their requirements. They include: F01: Client Requirements, F10: Business Usecase, F15: Quality requirements, F27: Client location, and F30: User Journey Map. Process factors: Process factors characterize the context of the testing in regard to the development process. They include: F21: Process Maturity Level and F25: SDLC Phase. Product factors: Product factors describe the attributes of the product under test, they include: “F08: Functional flows, F09: Product Purpose, F14: Product Characteristics, F19: General Software design, F20: System Architecture, F22: Product Design Effects, and F28: Heterogeneous Dimensions. Project management factors: These factors concern the planning and leadership aspects of the project in which the testing takes place. They include: F05: Timeframe, F06: Project Purpose, F12: Effort estimation, F17: Test Team Communication, F18: Project Plan, and F29: Project Revenue. Testing: Testing factors include contextual information relevant for the planning, design and execution of the tests. They include: F02: Test Strategy, F03: Knowledge of Previous Bugs, F04: Risk Areas, F07: Test Function Complexity, F11: Test Equipment Availability, F13: Test Planning Checklist, F16: Test coverage areas, F23: Feedback and Consolidation, F24: Session Notes, and F26: Tester. RQ2: What do practitioners include in their test charters? The interviews revealed 35 different contents that may be included in a test charter. Table 3 states the content types and their descriptions. Unit, Function, System test, etc. How and when resources are used to execute the test strategy, e.g. how people in projects are coordinated and assigned to testing tasks. Similar to the factors we categorized the contents as well. Seven categories have been identified, namely testing scope, testing goals, test management, infrastructure, historical information, product-related information, and constraints, risks and issues. Testing scope: The testing scope describes what to focus the testing on, be it the parts of the system or the level of the testing. It may also describe what not to focus on and set the priorities. It includes: C02: Test Focus, C03: Test Level, C04: Test Techniques, C10: Exit Criteria, C14: Specific Areas of Interest, C19: Priorities, C28: Coverage, and C33: Omitted Things. Testing goals: The testing goals set the mission and purpose of the test session. They include: C07: Purpose, C22: Mission Statement, and C24: Target. Test management: Test management is concerned with the planning, resource management, and the definition of how to record the tests. Test management includes: C12: Test Logs, C18: Information Sources, C21: Test Results Location, C25: Reporting, C26: Models and Visualizations, C31: Logistics, C32: Stakeholders, and C34: Difficulties. Infrastructure: Infrastructure comprises of tools and setups needed to conduct the testing. It includes: C01: Test Setup and C23: Existing Tools. Historical information: As exploratory testing focuses on learning, past information may be of importance. Thus, the historical information includes: C06: Bugs Found, C16: Compatibility Issues, C17: Current Open Questions, and C27: General Fault. Product-related information: Here contextual product information is captured, including: C08: System Definition, C13: Data and Functional Flows, and C35: System Architecture. 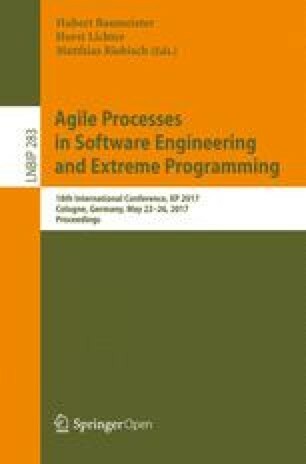 Constraints, risks and issues: Constraints, risks and issues to testing comprise of the items: C05: Risks, C15: Issues, and C29: Engineering Standards. In this study two checklists for test charter design were developed. The checklists were based on nine interviews. The interviews were utilized to gather a checklist for factors influencing test charter design and one to describe the possible contents of test charters. Overall, 30 factors and 35 content types have been identified and categorized. Should the test focus of the charter be influenced by previous bugs (F03)? How/why? Are the product’s goals (F09) reflected in the charter? Is it possible to achieve the test charter mission in the given time for the test session (F12)? With regard to the content a wide range of possible contents to be included have been presented. For example, only stating the testing goals (C22) provides much room for exploration, while adding the techniques to be used (C04) may constrain the tester. Thus, the more information is included in the test charter the exploration space is reduced. Thus, when deciding what to include from the checklist (Table 3) the possibility to explore should be taken into consideration. In future work we need to empirically understand (a) which are the most influential factors and how they affect the test charter design, and (b) which of the identified contents should be included to make exploratory testing effective and efficient.